Comment: When it rains consistently we get little streams from the high end of our property to the low end where our floor drain/clean out is located. We had mildew and mushrooms growing. I cleared out the holes basement and pressure washed it. No I am looking to solve this problem. Comment: I need to level my mobile home. 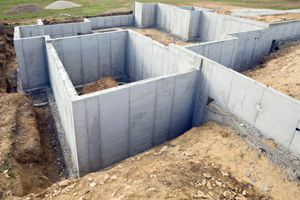 Comment: Back fill around foundation. Comment: I have black mold. It has gotten on everything..I am allergic to it. It is on towels, bedding, all my clothes. Even the furniture . My legs get real itchie, red and weltey with blisters. I have open soars due to diabetic. I can't live there. I was told there isn't any way to get rid of black mold. What do I do? Everett Foundation Contractors are rated 4.60 out of 5 based on 512 reviews of 20 pros. Not Looking for Foundations Contractors in Everett, WA?